The new feature in Hitman season 2 that caused perhaps the most joy among the fans was giving up on the experiment of episodic releases. But did the developers really made a good call when caving in to the pressure from the complaining bunch? Dividing the 2016 Hitman into episodes was a very bold experiment on the part of IO Interactive, which caused a lot of controversy and showered the game in negative responses. The gamers associated the new episodic formula with worst practices like early access or DLC, and didn’t hesitate to voice their opinion – not only with fierce criticism on the web, but also by refraining from purchase until the entire season 1 was released. Even I used to complain that the episodic formula and Agent 47 simply won’t mix, that is a big mistake that may blow up in the team’s faces. As a result, I was also among those, who bought the game long after its release, when it was available in a complete edition. And it turns out that it was not the formula that was wrong, but the stubbornness of the gamers, including myself. Paris, the location featured in episode one, was quite peculiar. Perhaps the reception would have been better, if the game had launched with another, better appreciated location. When I eventually launched the game, I was overwhelmed. Six main campaign missions of gargantuan proportions, which could be completed in dozens of ways as the player is discovering their numerous secrets. And you actually want to do it! Next we have some tutorial missions, which are somewhat more modest, but still offer several hours of fun when maxing them out. Furthermore, bonus missions, introduced to the game in the meantime. Additional Sarajevo Six campaign (which, admittedly, is the weakest point of the entire game, but also provides some entertaining moments), later accompanied by Patient Zero. Then there are the escalations, which are usually very creative. And, finally, the ultimate test of our skills – the time-limited special contracts, which can be completed only once. The episodic formula also had some financial consequences. Initially, when buying the entire season at once, we had to pay the same amount of cash we would spend on any other AAA title, roughly $60. We could also buy the game in parts. The Intro pack, consisting of the prologue and episode 1, was priced $15, and each subsequent episode – $10. When purchasing the game in pieces, we would spend much more in total, but this would give us the luxury of distributing the payment over time, making the purchase less painful to our wallets. The complete season of Hitman turned out to be a game so humongous that it’s Blu-ray disc almost didn’t leave my console’s drive for more than six months. Dozens of hours which I’ve invested in the game so far allowed me to only skim on the surface of its contents by maxing out main missions and eliminating elusive targets; and I’ve barely touched the other modes. Some may be pleased by this – after all, there’s no such thing as too much content. But for me, the sheer volume of it made it really difficult to decide what to focus on: what to do, and in which order. What’s more, the nature of the game makes it an ideal candidate to play it a few hours and then take at least a few days break to cool down – otherwise, its patience-fueled gameplay eventually becomes tiring. And those who try to remain in the hot-release loop these days know how hard it is to return to a game they’ve once abandoned when there’s a throng of new stuff on the horizon all the time. In my case, Hitman usually emerges victorious from the battle, but there were some occasions when I haven’t touched the game in weeks. And I have to tell you that I absolutely loved this title – if it were “just” a very good game, I would most likely limit myself to complete the main mission, as I do with most other games. As a result, I would probably had no chance to appreciate the part where the new Hitman truly spreads its wings – exploration of various methods of target elimination, of which there is a plenty in the game. 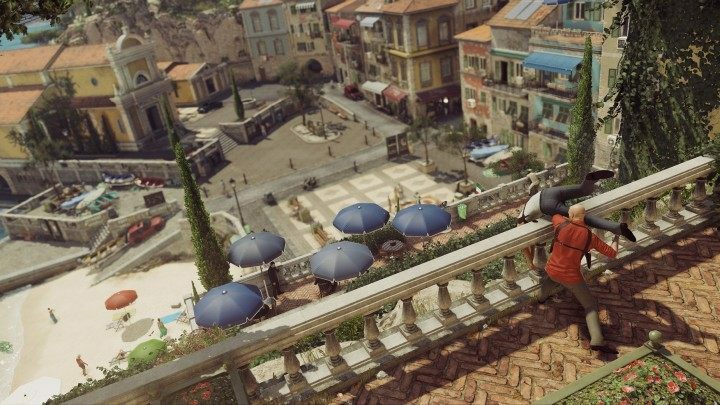 Sapienza is commonly acclaimed to be the best map of the season. And that’s where the game’s episodic formula comes into the fray. If we had decided to play Hitman as its creators intended us to, and not how I did it, we would have avoided being overwhelmed by the initial flood of content. Also, we would avoid selection problems between Hitman and the latest hot titles. Instead, we were given a new main episode once in a while, which provided a clear signal for the owners of the game, announcing the time to pick up the fiber wire once again to all the players who were taking a longer break. As I have already mentioned, the game is at its best, when players need to spend some time thoroughly exploring the map and learning the habits of mission targets, not swiftly completing contracts – and the adopted model of distribution encouraged players to this style of gameplay. 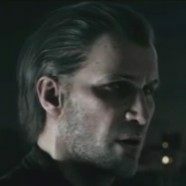 Elusive targets are one of the developers’ best ideas, fitting the game’s episodic nature – they are special, timed challenges that can be completed only once. You need at least a dozen hours to really get to know a single map and complete all the challenges it offers – that’s more than enough to enjoy the game. And if you need more, in the meantime IO Interactive released smaller expansions in the form of escalations or timed elusive targets. 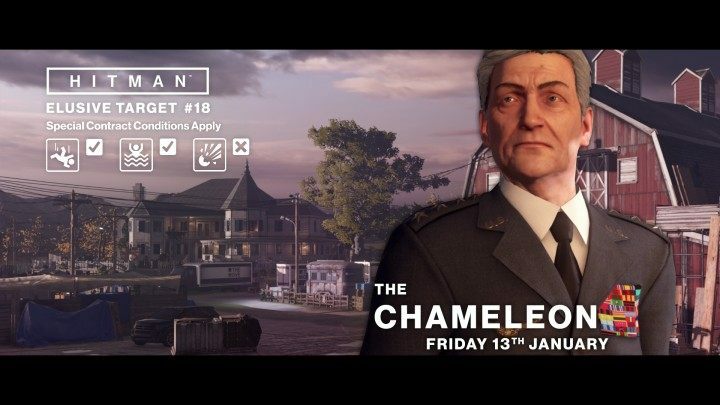 You could complete them as they come, or wait for the release of a new episode and use them to regain your edge when preparing to master the new map. What’s more, the game never stopped evolving – gameplay solutions were added, modified or removed based on the feedback from the community. It might be just my opinion, but I feel that if the game was released in a traditional formula, the post-release support would be less pronounced, and the game wouldn’t change for the better as much as it did. The main victim of Hitman’s episodic formula was the story – instead of a memorable tale we got nothing more than a teaser of a bigger plot. Personally, though, I never felt disappointed by that fact, because as far as my memory serves me, Hitman games that had decent storytelling were in minority. Let me quickly remind you the premise of the first installment. Codename 47 was a game, in which we first escape from some lab, and then spend the rest of the game killing characters we don’t even know personally. 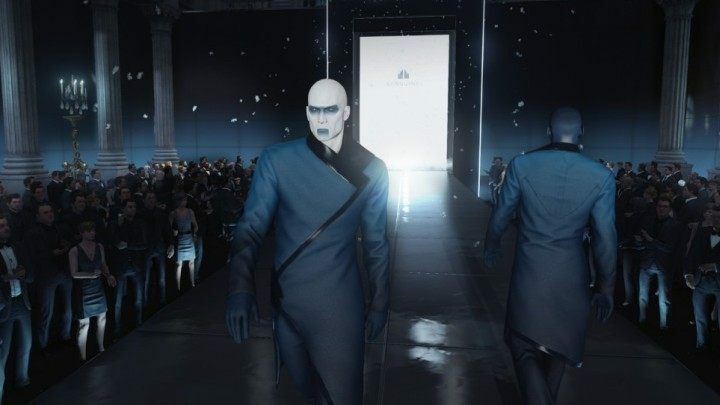 The explanation for the plot came only in the game’s finale, along with an army of hitman clones. The beloved Silent Assassin is a rather cheap variation on the “atoning assassin tries to leave his past behind and fails” cliché, and the plot of Contracts is nothing more than a collection of stories from a hallucinating half-dead man. I’d say the 2016 game doesn’t really have to prove anything in this company. That’s how the game kept itself alive and kicking throughout the six months of its publishing cycle – providing the players with perfectly measured doses of fun and even more content to the most dedicated fans after the season was completed, as post-release support was up and running. Even the fact that the plot got sidetracked turned out to be an asset, because the players had no problems with waiting for the next episode, making it a negligible irritation, if any at all. In contrast, story-focused adventure games often suffer from too big intervals between the release of subsequent pieces of narrative, effectively killing the suspense. I believe that the adoption of episodic formula was the perfect solution, and if some other developers were to implement it, the gamers would have a vastly different opinion on the whole idea. Why do you even divide a work into episodes in the first place? So that a long plot, impossible to digest all at once, can be delivered in smaller, approachable pieces. By ending such pieces at the right moment you can also keep the audience engaged, and retain their interest in the work for a long period of time. Video games are a medium usually crafted with the vision of a user spending dozens of hours playing them, so they do not suffer from this problem. Hitman also had no plot worth following, as all of the game’s storyline brought together would probably be shorter than a movie trailer. Long pauses between the episodes made it all the easier to simply forget about the plot. Dividing Hitman into episodes may have appeared to be handy for the creators and the publisher, but in my opinion it had completely no significant and positive meaning for the user. We have waited long for the season to be complete, focusing on side activities and having completely no idea when the next part will come out. It could have been done much better, the episodic formula could have been used to enhance the atmosphere of the game. A hitman works on a job to job basis, they do not care about whom they are killing and why. The plot and cinematic presentation of targets were completely unnecessary. The developers should have focused on letting us be the hitman – show us the job-related intel as a true assassin would have seen it on the screen of their laptop. The main attraction of each episode could have been the location itself and not just the main mission that plays out on it. Instead of being stuck in a Groundhog day and repeat one mission 20 times, I would rather see a new target of importance every 2 weeks, along with a new briefing and several new methods of elimination. This would keep us busy until a new map comes along after a constant, predictable period of time. This would keep us invested in subsequent contracts; it would also work better within the adopted episodic formula and create an awesome atmosphere to the game. I’m afraid that the lack of episodes in the sequel won’t make the game any friends, because once again the plot will be unimportant, and we, the players, will be stuck in a repetition loop. And Hitman, in contrast to many other IPs that are being shoehorned into it, is the perfect material to implement the “game as service” model. 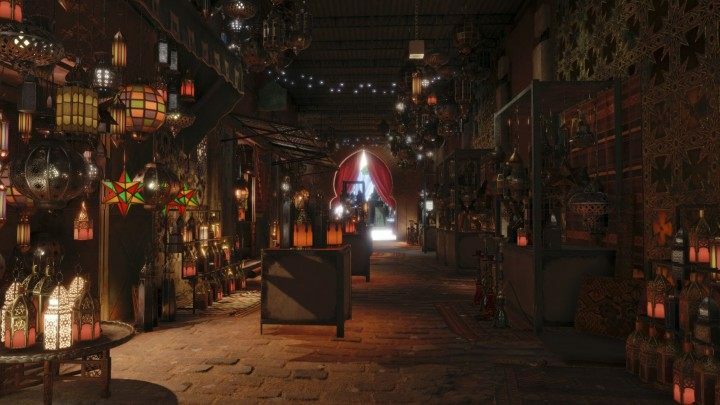 Marrakesh stood out with a unique atmosphere and large crowds – such empty streets can be found only on promo materials. What I enjoyed the most when playing Hitman season 1 and waiting for season 2 was the fact that this time I would be able to enjoy it as I should have – in well-measured portions sprinkled with smaller batches of additional content. Unfortunately, the crowd has won – IO Interactive has come to regard the episodic formula experiment as a failure, and Hitman 2 has been served as a single piece of content. 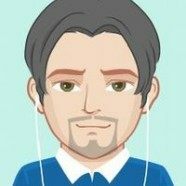 It may be a correct move from a PR standpoint, as it enables the developers to avoid a new wave of discontent. However, I, personally, am feeling simply disappointed, because the episodic formula is a good match for this title, and it only dies because of the dislike triggered in the community by other games. A result all the more regretful, because all those that eventually played the 2016 Hitman would probably be more willing to play the second game piece-by-piece, now that they know what is to be expected and how much good stuff is coming their way. I know I would.